For those that are curious, Open lattice patio covers are structures comprised of evenly spaced posts and beams that allow for partial and balanced shading. With Patios4All you can choose to use aluminum, Metal, wood or vinyl for your Open Lattice Patio Covers. Check out our gallery of open lattice covers. Look over the Adjustable Patio Cover page to learn about the flexibility of a lattice patio cover and a solid patio cover all in one! For those who want to keep some of the sunlight on their patios, the open lattice patio cover style is going to be the best option. The lattice beams are installed with variable spaces between them, allowing the perfect amount of light to penetrate. Providing protection for your house, windows and doors, Open lattice patio covers are also the ideal place to grow plants that are being disturbed by direct sunlight all day long. Parties, barbecues, or the everyday backyard hangout with the kids can be much more fun and safe when you are exposed to only 50% of sunlight, perfecting the atmosphere for the ultimate California summer day! Many exit patio doors are big and clear. Direct sunlight into your house will significantly damage window seals, living room furniture and hardwood floors. What's more, direct sunlight causes a steep temperature increase, resulting in costly power bills. Not like before, today's open lattice aluminum covers come in a variety of colors making it to an even more attractive product, feel free to scroll down and view our wide selection of color to the new and improved patio cover. The Project Manager/Technician, R. Jennings, was terrific. 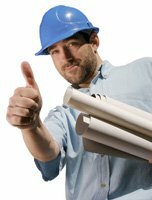 He was on-time, professional, Honest, and got the job done right even before the completion date stated on contract.